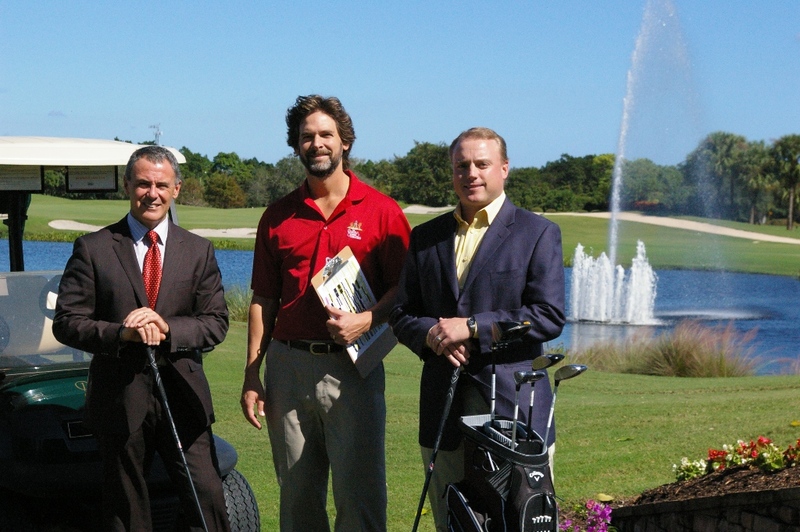 The 12th annual Allianz Championship, set for February 6-12, 2012 at Broken Sound Club in Boca Raton, Fla., today announced plans to become one of the greenest golf tournaments in North America. To achieve this goal, the tournament will partner with The Smart Group, an organization of ecologists, scientists, educators, and academic researchers who help clients make sound decisions about environmental management. The tournament plans to set green event benchmarks by developing a comprehensive carbon footprint event analysis, taking the initiative to power the event with 100% renewable energy, and implementing a zero waste program with education of spectators, players and vendors about the benefits of going green in their daily business and personal spaces. This initiative is an extension of efforts made at the 2011 Allianz Championship, which was the first PGA Champions Tour event ever played on a GEO-certified course. Broken Sound Club is the first golf facility in Florida and only the second in the United States to achieve the GEO Certified award, an international sustainability assurance from the Golf Environment Organization. As the first tournament on the early-season Florida swing of the PGA Champions Tour, the Allianz Championship is collaborating closely with the International Green Energy Council(IGEC), Golf Environment Organization (GEO), the City of Boca Raton, the PGA Champions Tour and Allianz Life, the tournament’s title sponsor and founding sponsor of the 2012 green initiative. The tournament’s green initiative is an extension of programs already being conducted by Allianz. For example, Allianz Life was recently recognized for the second straight year with the prestigious Energy Star designation for its campus in Golden Valley, Minn., putting it in the top nine percent of similar-size buildings nationwide. Parent company Allianz SE has developed around 70 products and services that help mitigate climate change or take environmental impact into account. The tournament will use a per-mile carbon offset fee generated from all players, vendors and attendees for travel by air and car to enhance the greening of Boca Raton. The total amount of these carbon offset fees will be used to buy trees for planting throughout the City of Boca Raton. The Allianz Championship is seeking additional partners, vendors, sponsors, exhibitors and volunteers that are committed to corporate social responsibility, sustainability, the environment, green technology, corporate governance and community development to share in this groundbreaking collaboration. To learn more about the Allianz Championship partnering opportunities, contact Anthony Greco at agreco@allianzchampionship.com or call 561-241-GOLF(4653). In addition to bringing the legendary champions of golf to Boca Raton for a celebrated week-long PGA Champions Tour event, the Allianz Championship will be driving all net proceeds to Boca Raton Regional Hospital. 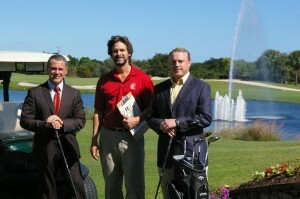 The Old Course at Broken Sound in Boca Raton, Florida will play host to the event February 6-12, 2012. The Allianz Championship, with a purse of $1.8 million, is the Champions Tour’s first tournament of the early-season Florida swing with the Golf Channel televising live all three rounds of the Championship. Visit www.allianzchampionship.com for updates, to purchase VIP tickets, and learn more about sponsorship and volunteer opportunities.